Expression of your emotions...: All Hail Heston! Hey everyone! If you follow Masterchef Australia, then you must be just as excited this week as I am as it is Heston week. The moment he walked in, everyone was gasping, squealing...everyone was so super excited. 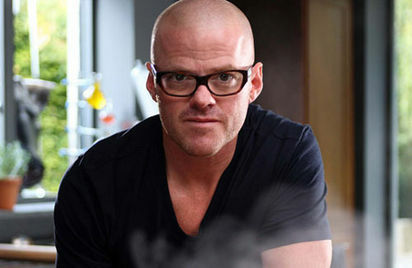 Heston had this aura, following behind him every step of the way. I am not much of a cook, but I sure would love to get better at it. Anyway that is not the reason of this post, its the fact about how inspiring the man is. His cooking, his philosophy, his reputation. He is self taught and to add to it, he is just remarkable at what he does. The more you read about him, the more you watch him....it just fills you with inspiration and awe.